Company is established on March 26,1973. Chief design & mechanic: Masao Kimura. using the Honda Civic 1.3-liter engine. highly ranked in the season's standing. Sales started on parts for Honda Civic sedan racers. The decision to start development of motocross started. 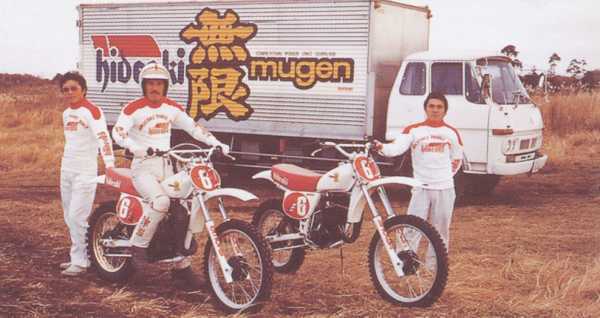 in the All Japanese Motocross race, initial entry takes 4th place. Entered ME250 in the All Japanese Motocross race, runner-up to winner Yamaha. in the championship for 16 consecutive years. Sales started on Honda CR125R Engine Power-up Kits. Sales started on Honda CR250R Engine Power-up Kits. Sales started on MUGEN Special Complete Motocross ME125. 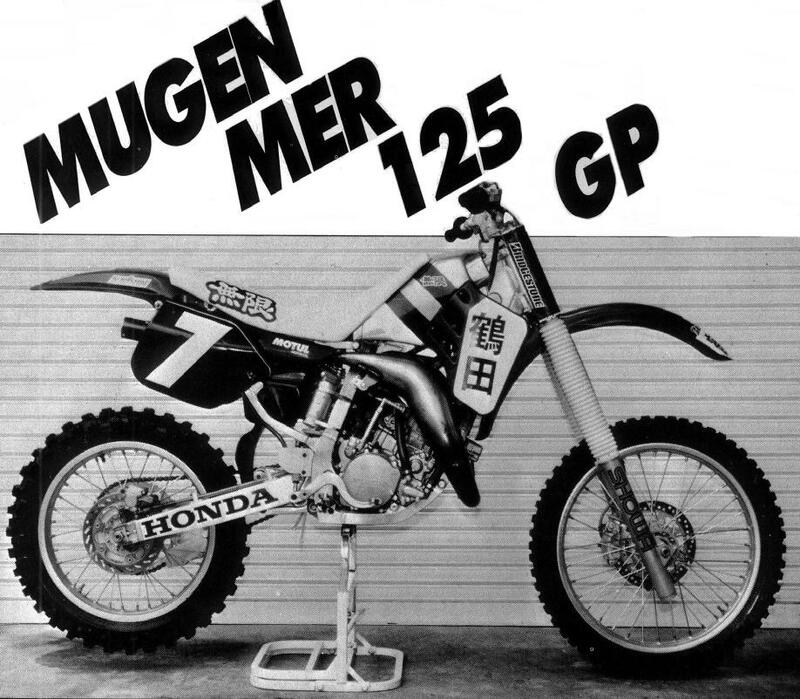 Sales started on MUGEN Special Complete Motocross ME250. ME125 won the third round of All Japanese Motocross race. ME125 captures the Japanese Grand Prix overall winner award. 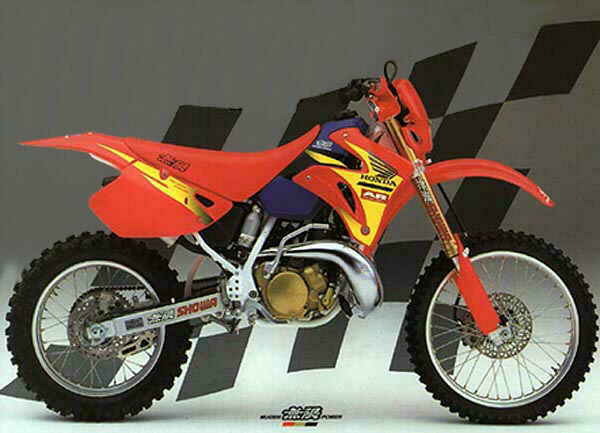 Sales started on the ME360 Engine Kits (Honda CR250R optional kit). ME360 captures 4th place in the Belgium International Motocross race. MUGEN Special Complete ME125R captures 3rd place in the Germany 125cc World GP. Mugen Factory expanded to increase production, new equipment is added. MUGEN Special Complete ME125R captures winning award in the Philippines GP. Production started on MUGEN Special Complete machine ME125Rz. Production started on MUGEN Special Complete machine ME250Rz. MUGEN ME125Rz captures 3rd place in the Netherland 125cc World GP. Sales started on Honda '79 CR125Rz Power-up Kits. Established MUGEN U.S.A. CO., LTD in the State of California. at the Anaheim Supercross on November 18. They dominate both motos from start to finish. 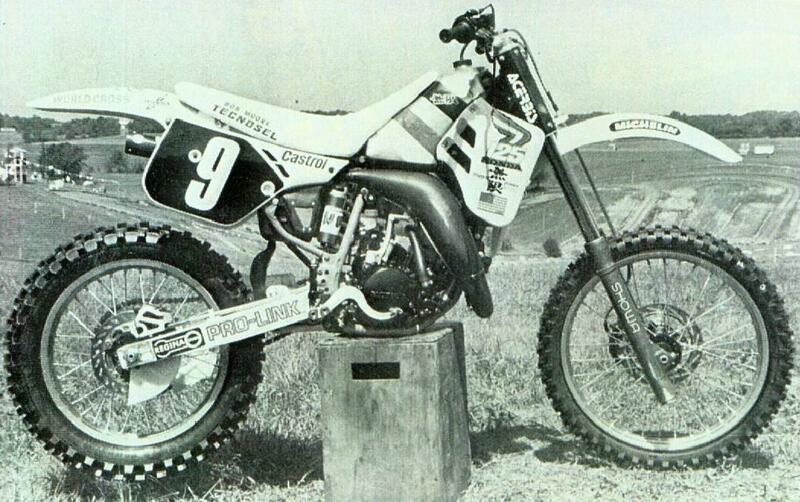 The 1980 ME125WI, factory-prepared motocross model, made its debut. Production started on the '80 MUGEN Special Water Cooled complete machine ME125WI. Sales started on Power-up Kits for the '80 Honda CR250R. Sales started on Water Cooled Power-up Kits for the '80 Honda CR125R. MUGEN ME125WI captures 2nd place in the Belgium 125cc World GP. MUGEN ME125WI won the Finland 125cc World GP. Series in Lexington, OH on July 27. Sales started on Honda XR500 Baja Commander Power-up Kits. Sales started on Honda XL500 Baja Commander Power-up Kits. 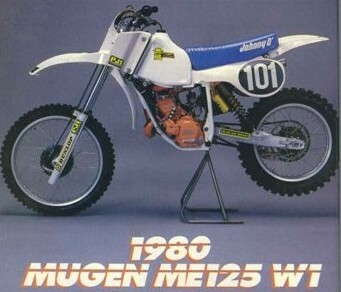 Production started on the '81 MUGEN Special PRO LINK complete machine ME125WII. Sales started on Power-up Kits for the '81 Honda CR125RB, CR250RB & CR450RB. 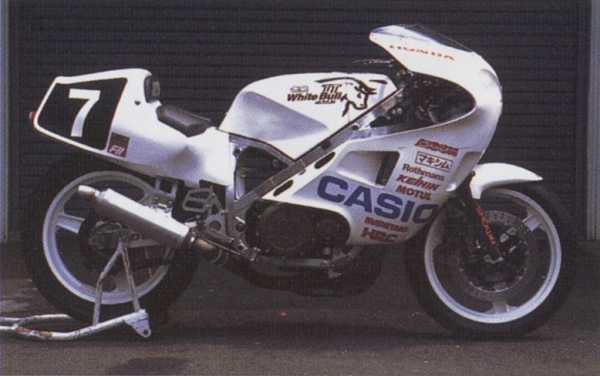 "White Bull", which was developed from the Honda CBX750. Second participation in Suzuka Eight-hour Endurance Race "White Bull II"
aluminum tank that scoops air directly into the airbox. 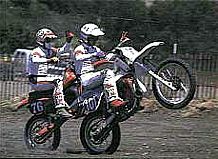 at the Trophy des Nations on a stock framed Mugen 125.
the '90 CR125R and CR250R.